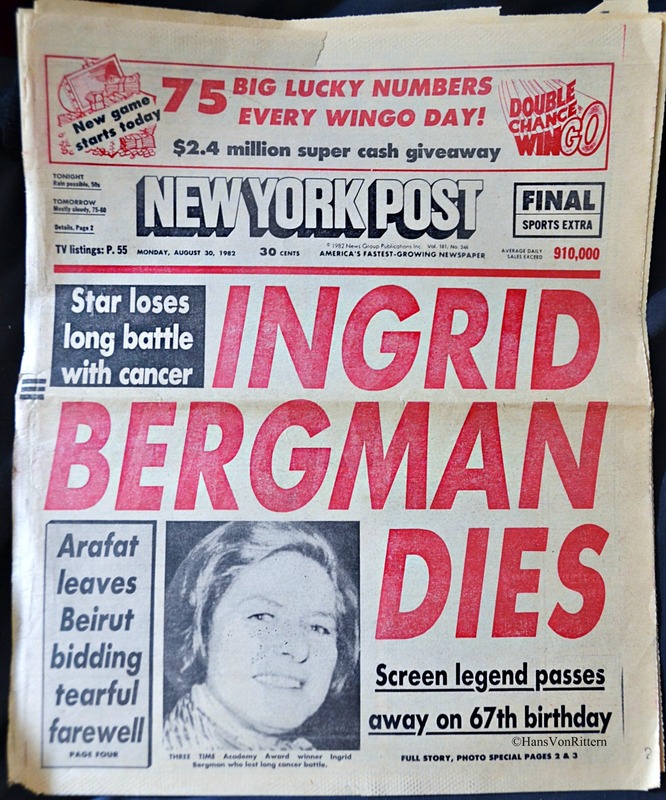 Photo of the day: INGRID BERGMAN DIES – This was the startling headline New Yorkers were greeted with on August 30, 1982. Bergman had died at the young age of 67 in a London hospital of breast cancer leaving us with incredible memories of “Casablanca” and “Gaslight”. I had spent a wonderful evening alone with her ten years earlier in 1972 at the Ethel Barrymore Theater as she was appearing in the play “Captain Brassbound’s Conversion.” I just gazed at her as we talked. Her face had not changed, her voice was exactly the same, her eyes still sparkled. I was so mesmerized realizing I was looking into the actual eyes of Ilsa Lund…. This entry was posted on August 29, 2014 by newyorkcityinthewitofaneye. 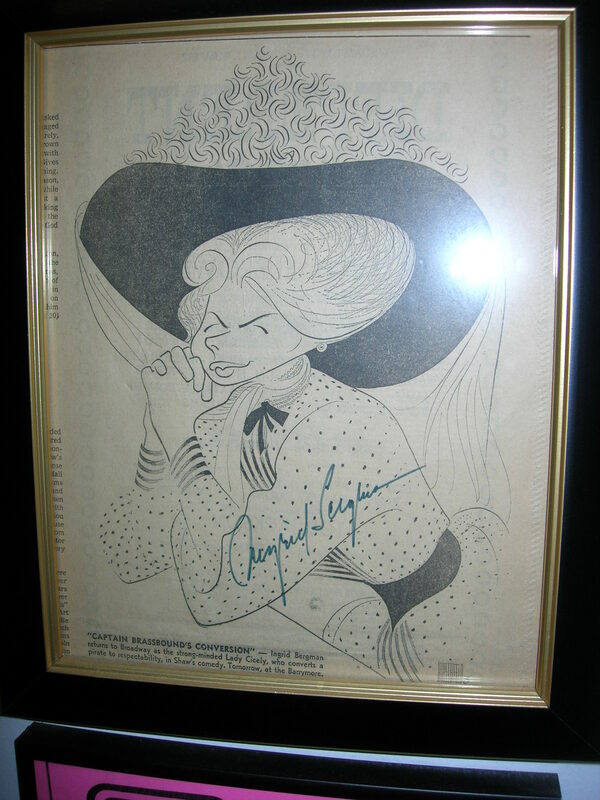 It was filed under DAILY PHOTOS WITH STORIES OF NEW YORK CITY and was tagged with "Gaslight", Bergman dies of breast cancer, breast cancer, Captain Brassbound's Conversion, Casablanca, celebrities, Ethel Barrymore Theater, Hans Von Rittern, Ilsa Lund, ingrid bergman, Manhattan, New York City, New York photo, New York Post headline, New York Post vintage newspaper, Photo of the day, photography, the Ethel Barrymore Theater.